(L to R) Rabbi Levi & Rivka Landa, Directors of Programming; Rabbi Avi & Chana’la Rubenfeld, Chabad of Chesterfield; Rabbi Yosef & Shiffy Landa, Regional Directors; Rabbi Hershey & Chana Novack, Chabad on Campus. Chabad believes that every Jewish person is equally endowed with an enduring Jewish 'spark'. We seek to tap into this reservoir of Jewishness by offering an array of innovative programming and educational opportunities for adults, children and families. 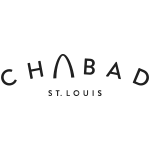 By promoting a deepened awareness of, and inspired commitment to Judaism, Chabad creates a more unified and robust celebration of Jewish life in St. Louis.